What Song Meant Hardware Failure On Some Older Motherboards? One Of The Plot Lines Of Which Of These Animated Films Was Based On A Real Conspiracy? Although we rarely hear from it now, buried deep inside your PC, located on the motherboard, is a tiny speaker. This PC speaker once featured prominently into the soundscapes and soundtracks of early PC games. These days, however, the speaker is nearly completely silent, save for the old BIOS here or there that lets off a simple beep to indicate that all is well during the boot sequence. A noisy PC speaker on the other hand, is an indicator that things are malfunctioning in your PC. 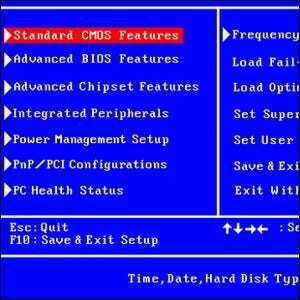 While most BIOS makers stick to a Morse-code-like sequence of beeps to indicate there is a problem (such as a series of 7 beeps to indicate a CPU failure), a variety of BIOS versions over the years have spiced things up and taken advantage of the simple polyphonic capabilities of the humble PC speaker. Award brand BIOSes from 1997 onwards will play, on some hardware, the opening of Beethoven’s Für Elise to indicate that the CPU fan has failed and the CPU is on its way to overheating (or that the power supply voltages have drifted out of tolerance). Image courtesy of Award Software International Inc./Wikimedia.